Jesse Beier is admitted to practice in Minnesota and Wisconsin state courts. 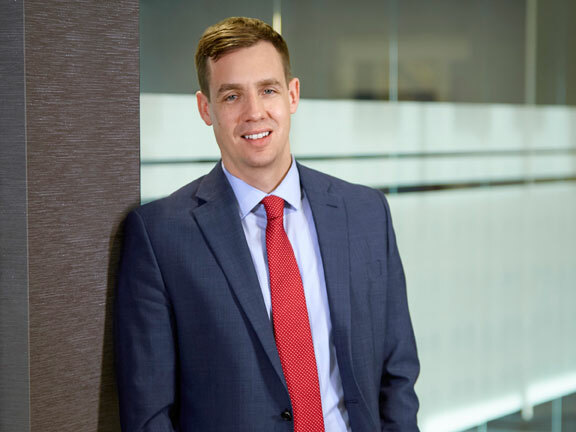 Jesse Beier is an experienced Minnesota and Wisconsin licensed attorney practicing in the areas of estate planning; business succession planning; and will, trust and probate litigation. Prior to joining Lommen Abdo, Jesse practiced at a well-known St. Paul law firm long considered a local leader in the areas of estate planning, charitable giving and business planning. Jesse is dedicated to helping individuals, families and businesses prepare for the future through the development of tailor-made plans focused on tax planning, asset protection, probate avoidance, and incapacity planning. Jesse enjoys the personal aspects of the field, giving clients the comfort of knowing that they have ensured the security of the things that matter most in life. He understands that each client’s situation differs from the next and he strives to provide highly individualized services. He works hand in hand with key advisors, including accountants, financial planners, and trust officers to produce plans that are both comprehensive and cost effective. Jesse lives in the Minneapolis neighborhood of Bryn Mawr with his wife and two young daughters. He is an avid runner and Nordic skier and spends his free time chasing a toddler and training for endurance races. What Are the Estate and Gift Tax Limits for 2019? With tax changes, do I still need estate planning? Do I really need an estate plan? Three questions to ask yourself.